Packet Pick Up will from 1:00p.m. until 7:00p.m. 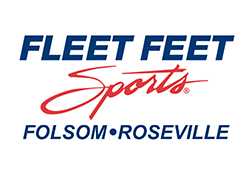 on Friday, June 10th at Fleet Feet of Roseville (1850 Douglas Blvd # 418, Roseville, CA 95661), and on race morning from 6:30am until 8:00am. After June 6th: If you decide to switch your distance, simply show up at packet pick up or on race morning and ask a registration volunteer to help you. Race numbers are required to participate. Rogue runners will be removed from the course. Any valuable items NOT claimed at the finish by 11:00 am will be taken back to our Roseville office. To claim a lost item after the event, please email us at Run@Courageworldwide.org.